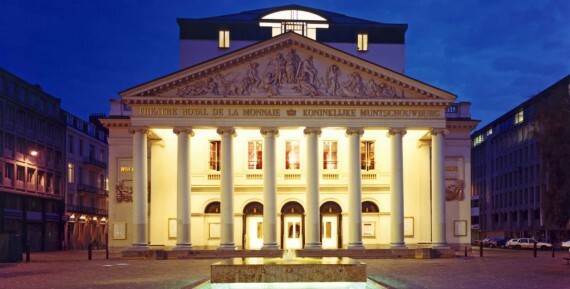 The European House for Culture (EHfC) is organising a roundtable discussion in De Munt/La Monnaie bringing together approximately 50 influential personalities in order to realize the goal of implementing The Decisive Deal: A European Resolution on Culture, Values, Democracy and Citizenship in the next 5-year political term. This programme is set up by the Cultural Coalition for a Citizens’ Europe, based on citizens’ ideas gathered from all over Europe during various events and online in 2012-2013. At the Brussels Conversations 2013 those ideas were gathered and subsequently presented as a citizen’s pact to the top candidates of the European elections at the occasion of the Berlin Conference in March 2014. Following the 2014 European elections the main goal is to realize implementation in cooperation with elected leaders of all parties at local, national and European level. During the Brussels Conversations 2014 participants are supposed to share their views on topics, actions, and visions for the next 5 years in order to agree on concrete action plans and long term planning. The outcomes shall be put on the agenda of the A Soul for Europe Advisory Board and the Berlin Conference Steering Committee. Following up, definitions of concrete topics and actions shall be elaborated and further developed by the ASfE strategy group and the EHfC members and partners in view of the next Berlin Conference in autumn 2015. Questions to be discussed during the Brussels Conversations are, for instance, what proposals should be presented and what actions should be proposed? The major task is to present clear and concise ideas, questions, and demands to policy makers to ensure that the working document will be regarded as a proposal for resolutions by the European Parliament to eventually inspire action in the European Council and the Member States, as well as on the local level. The Brussels Conversations 2014 are considered as part of a collaborative work process to European democracy by shaping citizens demands and ideas for the future of the European Union.